When I was sick two weekends ago, I decided to catch up on some movies I had really wanted to see but couldn’t interest anyone else in seeing with me. One of those movies was Nebraska, the 2013 much-lauded comedy/drama starring Bruce Dern and Will Forte. Overall, I thought the film was pretty good, and I was pleasantly surprised by Forte’s dramatic acting chops and Dern’s heartbreaking performance. I don’t know that I would have given it an Oscar nomination, but the fact that it did receive several gave me the opportunity to feel slightly more sophisticated for having watched it. While the film’s dramatic scenes carried considerable weight, a comedic moment was what resonated most with me. A family gathering is depicted, with Dern and Forte’s characters surrounded by male family members. 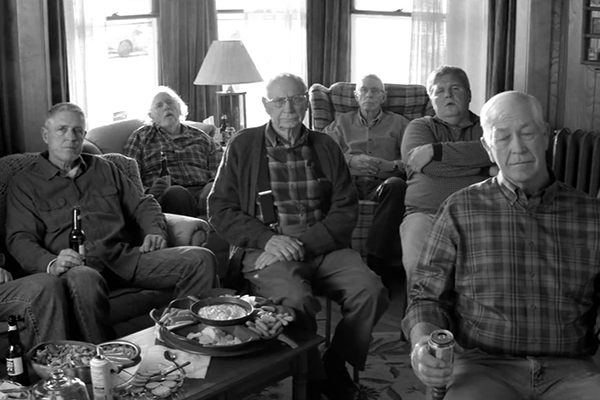 Most of them are older (Dern’s character’s brothers), and they are all staring blankly at a television as some random sporting event is taking place. A totally inane, meaningless conversation begins about one of the men owning a Buick. Few words are spoken, even fewer are actually listened to, and the conversation ends just as it began, with awkward silence. I have been in that living room before and sat through that conversation. 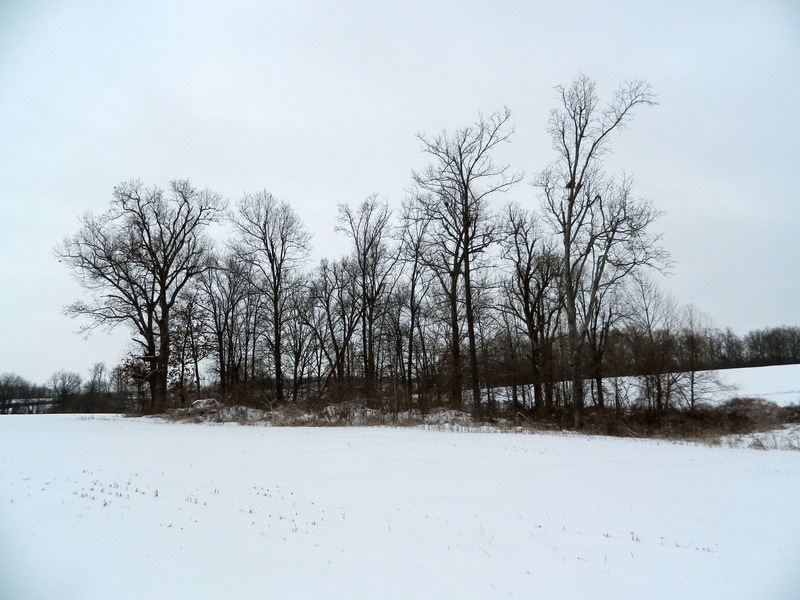 The area where I live received a significant amount of snowfall last night and today. I’m not exactly sure of the amount, and I’ve had to work extremely hard to not find out. There may be eight inches or 10 inches or a foot or who knows how much. I don’t do well when I dwell on such things. If I have to get out and go to work (which I didn’t today), then I have to get out and go. Every report of how awful everything is outside just fuels my anxiety and makes it even more difficult for me to concentrate on the task at hand. I would rather just meet the challenge and get it over with. Being in radio, I understand the necessity of media outlets to report what the forecast is going to be; to warn the public of any potential hazards the weather might create; and to describe travel conditions for those who will have to be on the roadways. It’s a public service, and it’s just the nature of what they do. What I do not understand is why some people feel the need to inform me of every single happening they heard about from social media, other friends, random acquaintances, and anyone else with the ability to communicate with words. Sometimes what they say is true; sometimes it is not. Sometimes it is greatly beneficial; sometimes it is not. For some reason lately, though, it is almost always annoying to me, and I haven’t been able to figure out why. I’ve run through several possible reasons for this in my mind. I could just be an uncaring jerk. As I mentioned earlier, it could be because second-hand information of this sort usually only serves to increase any anxiety I might have over a situation. It may have something to do with my background in newspapers, where you had to make absolutely certain you had your facts correct before you shared them with anyone else. Maybe I feel inundated with information sometimes and just want it to stop. Perhaps the saddest part of the living room scene I mentioned earlier is how it seemed everyone in the room had run out of not only things to talk about, but also things to care about. Nothing was exciting anymore. Nothing was new to them anymore. There was nothing on the horizon for them to look forward to. All anyone could muster was a stilted discussion about an old car. Sometimes discussions about the weather or who’s sick in the hospital or who’s left what church or who’s getting married (or divorced) put me in that living room. There’s nothing inherently wrong with being there; it’s just not where I want to be. Barring something unforeseen, I will go outside in the morning, warm up my vehicle, and attempt to drive it to work. I’m sure a thousand-and-one stories exist to encourage me not to do that, but I don’t really want to talk about them. There’s a certain sort of excitement and adventure that comes with just doing what needs to be done and ignoring everything else, even if it’s not the wisest thing to do. I don’t begrudge anyone their right to sit around their living room and talk about snow or cars or anything else. I just can’t do it anymore. I just don’t care enough. Or maybe I actually care too much about other things.